Great Food Truck Race Season 3 IS DONE FILMING!! The third season of The Great Food Truck Race is done filming. The starting point was in Long Beach, CA. This season they changed it up a bit by getting people who have the dream to own a food truck but don’t have one yet; The winner of this year’s GFTR gets to keep the truck + $50,000. The Great Food Truck Race’s third outing will have more drama, more twists, more strategy, but most of all, more dreams. Hosted again by Tyler Florence, this season’s not a competition between current food truck operators – it’s between people who desperately want to be. Eight teams of hopefuls will have their dream truck handed to them before they race from city to city trying to prove they have what it takes to own and operate a successful food truck, with the winning team will get to keep their truck and immediately launch their food empire. The kick-off was at Shoreline Village in Long Beach, California. I tried not to post any spoilers (though that was probably impossible). 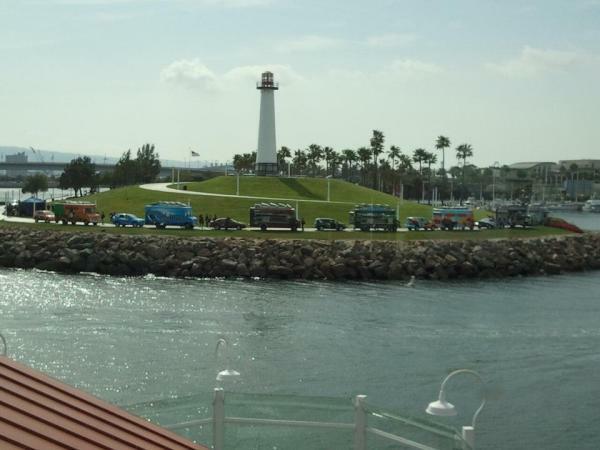 May 06: The Race starts off in Long Beach, CA with 8 GFTS (gourmet food trucks). The trucks sold food near Grauman’s Chinese Theater in H’wood…. 1 GFT did get eliminated. Click here for the Flagstaff stop recap. Click here for Amarillo post. June 15-16: The Final 2 trucks are heading to… BOSTON. MA! Click here for Lubec post. So, who’s going to win the GFTR3 and keep their truck?! Sorry but I won’t spoil who won the Race. Twitter WAS the best source to find out what’s going on with The #GreatFoodTruckRace. >> Click here to see tweets from the fellow GFTR fans.